Wheelchairs have been around for more than two thousand years, although for most of that time they remained stubbornly stiff, drab and exclusively human powered. If, for some reason, you needed one a hundred years ago you got the same one everyone else got. No choices. No complaints please. 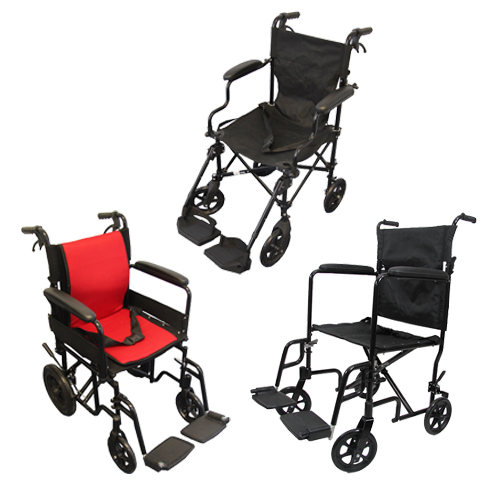 Factory Direct Medical offers feature packed economy, standard and lightweight manual wheelchairs and electric wheelchairs at economical prices. Manual Wheelchairs - Our manual wheelchairs are available in economy, standard and lightweight models and seat widths from 16" to 24". 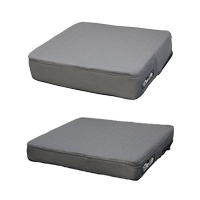 Transport Chairs - Transport chairs are similar to wheelchairs but have small wheels and are designed to be used by a caregiver to transport a person. 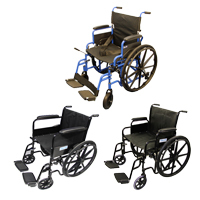 Wheelchair Parts & Accessories - Parts and accessories designed to but used on manual wheelchairs.